Pinewood Pallet Supplier In Bangalore manufactures pallets that are used for transportation and storage of goods. They are used particularly in industrial applications like the export of chemicals, grains, pharmaceuticals, perishables, and others. There are different kinds of pallets used for various applications: rackable pallets that are suitable for multi-rack storage systems and non-rackable pallets that are appropriate for heavyweight storage applications at floor level. These pallets come in different sizes, but can be customized as per user requirements. Packaging manufacturers introduced Export pallets; which was the standard packaging material for preparing goods for shipment. It has grown popular because it gave companies a standard sized unit to help them calculate available space in storage, in trailers and to estimate their shipping costs. The pallet is often misunderstood as a useful tool in the logistics industry, but it is, in fact, more sophisticated than might be thought. 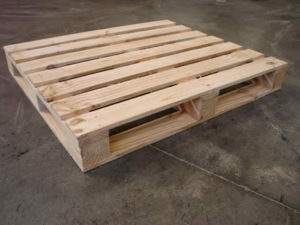 The pallet supplier in Bangalore is responsible for supplying the best quality pallets. Pallet shipping has increasingly gained popularity across the world. This is due to the advantages that are associated with the Export pallet which make it easy and efficient to transport goods in pallets as opposed to using containers. It is a flat, stable structure which allows for the transportation of goods. Purchasing these high-quality pallets from the export pallet supplier Bangalore will help you to increase your bottom line while maintaining quality and service. Warehouses are commercial buildings used to store many goods. Warehousing today has become increasingly popular due to internet trading. Warehousing is an essential process in the transportation of goods today. Many companies are switching to wooden Pallet Manufacturer because they recognize the economic and ergonomic benefits that they offer such as improved efficiency, reduction in product damage and reduction in work injuries. These pallets provided by the Export pallet supplier Bangalore are smart alternatives that can save you money. Sales have indicated that people choose export pallets as it has proven to be safer when compared to standard containers and with so many different kinds of boxes. 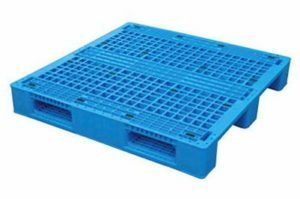 Pallets are available in a wide variety of footprints and types such as nestable, stackable, rackable, fire retardant, drum, and export pallets to name a few. They are ideal for production, warehousing and distribution applications. To avail the best quality of export pallets fro your needs you must get in touch with the Export pallet supplier Bangalore. Click here to know more about Wooden crate manufacturer Bangalore. Related Articles: Pallet Manufacturer In Bangalore, Wooden Pallet Bangalore, Heat Treated Wooden Pallet Supplier.